To watch outstanding lessons, click here. Hello and welcome, my name is Kevin Jones and I am the Principal of Old Ford Primary in the borough of Tower Hamlets. The first thing I want you to know is that I feel especially privileged to be the head of this fantastic school. The children who come to this school come as eager learners, hard working and really wanting to do the right thing all of the time. Old Ford is the largest primary school in Tower Hamlets with 680 pupil on roll and over 100 staff. Raising standards for the children in this school is the key to our success and what we hope to be able to do is affect the life chances for the children who come through the gates of this school each and every day. We are clear about our vision, we are clear about where we are going, we are clear about how we are going to get there and we are very clear that we want our parents to work with us. Parents/carers play a really important part in the life of our school. They play a particularly important part in their own children’s learning. We encourage parents/carers to come into school, at every opportunity. We encourage parents/carers to help in classrooms, to be available or to go on school trips and to come into assemblies but the first thing we ask them to do is to get their children to come to school on time and really ready to learn. Coming to school every day and on time, every day matters every minute counts. It’s important that your child attends school every day and on time. School helps your child develop important relationships, take part in all of the curriculum and ensure that they develop friendships later on. 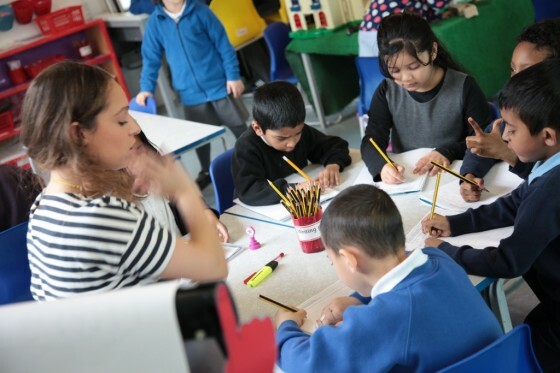 We are an inclusive school, which means that we feel that every child should be able to participate in every aspect of school life with a sense of belonging and a sense of being valued. Sometimes children’s feelings and behaviour get in the way of their learning. At Old Ford we have a learning support unit where we provide nurturing activities and social scheme programmes to help these pupils. The purpose of the learning support unit, or LSU, is to help children improve their behaviour and as a result, increase their learning. We do this by using a nurturing approach and through activities which promote social skills and emotional development, and we do this within a safe, affirming and consistent environment.